Notes: Data are from 2015. 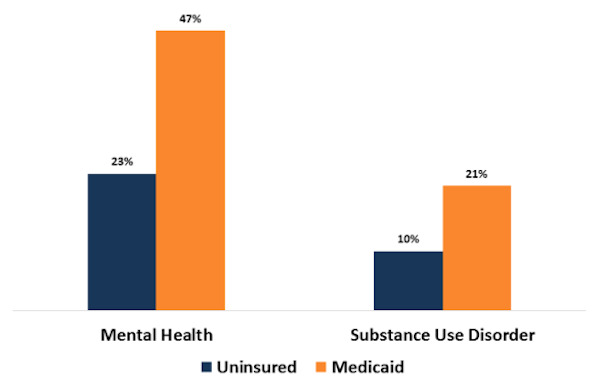 Data Source: Kaiser Family Foundation analysis of 2015 National Survey on Drug Use and Health. This entry was posted in Data Watch on July 12, 2017 by Genevra Pittman.